Pablo Picasso, the first living artist to be featured in the Louvre, influenced the artistic world in a uniquely original way. Then why would someone as original as Picasso say something as ironic as that? And what did he mean? There are a plenty of opinions and interpretations as to what he really meant. What Picasso did mean was that great artists rummage through the great junk heap of lost, bypassed, and forgotten ideas to find the rare jewels, and then incorporate such languishing gems into their own personal artistic legacy. Picasso implied that great artists don’t get caught stealing because they transform so thoroughly into their own persona, that everyone ends up thinking the great idea was theirs in the first place. To summarize in one sentence: copy the inspiration, not the outcome. A wonderful example of intelligent copying would be the logo of Bajaj Auto. 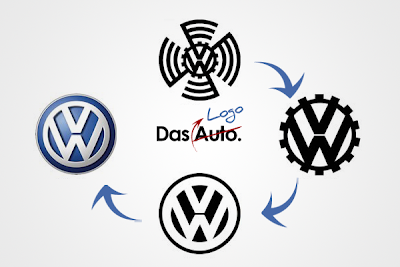 If you carefully analyze, it closely resembles a rotated version of the very famous Volkswagen (VW) Logo. 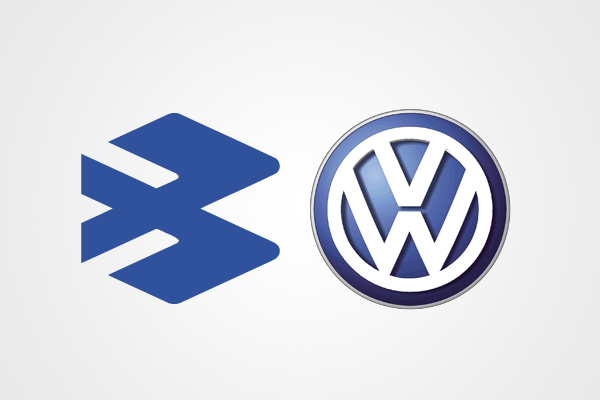 Volkswagen is a German automobile manufacturer and the original and biggest-selling brand of the Volkswagen Group, which now also owns the Audi, Bentley, Bugatti, Ducati, Lamborghini, SEAT, 49.9% of Porsche, Giugiaro, and Škoda. Volkswagen has seen a glorious 75 years journey and along with the cars they manufacture, their logo has also seen many stages of evolution. The present logo (VW) is a perfect example of a Brand Mark Logo (Check out http://designclubiitm.blogspot.in/2012/06/types-of-logos-logo-102.html for types of logos). Now, when we consider the Bajaj logo and rotate it clockwise by 90 degrees it almost overlaps with the ‘V’ and ‘W’ of the Volkswagen logo. It is worth appreciating the logo designers of Bajaj for making an intellectual copy of a strong rival, who cannot claim for what Bajaj have achieved using the logo. 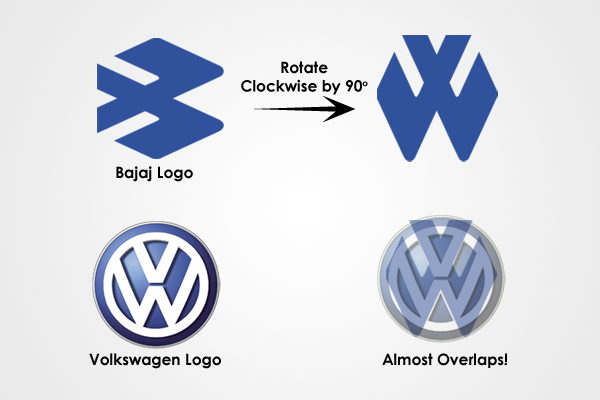 To support the theory, if you notice, the text and background colour of the Bajaj logo are just swapped from that of the Volkswagen logo. Bajaj must surely be proud of having a designer who has created a successful and powerful logo simply by looking in a different angle at the already hit logo. Kudos to him! Lovely! The author surely makes a brilliant observation..but I'd love to hear from him/her what does the Bajaj logo mean. Choosing the right LOGO for your company or product is one of the most important elements when building a successful business. LOGO STALL gives you access to dozens of unique logo created by professional designers. LogoStall.Com offers Ready-Made Logo Templates that means Pre-Designed Logo Templates which are 100% Unique, Creative, Premium & Exclusive Logo Templates. We are the leading Internet brand and one of the best Jaipur Logo Design company in the creation of Professional, Unique and Stylized business logo design concepts. Thank you for sharing your informative blog. Though copping a logo design can help you In quantitative terms but your own unique & genuine idea would be everlasting. Thank you for posting a nice blog for logo design. Design your Company Logo, Business Logo with The Logo Crew, leading UK based Logo Design Company. You make writing seem so easy. Your blog is just fantabulous! Your website is the ultimate user-friendly platform that I have ever worked with. You do not get lost here. I have seen some great online places like sell and buy brochures,Online Freelance Jobs...and I must say, your web page stands on par with them. Keep up the good writing work. Waiting for your next blog article. ? Thanks you for posting, great observation. Nice Post ! Design your Company Logo, Business Logo with The Logo Crew, leading UK based Logo Design Company. Hi… by the look of your website I gather that you are a professional. Can you help me make money, blogging? I have a few sample articles. Can I send it to you for your review? I have already begun posting my skills on sites like graphic design logos , unique flyer design. Quite a number of buyers have responded. I like to post my blogs on other marketplaces too. Do you have any suggestions? Great tips!! thanks for sharing the valuable information.Keep posting. I really appreciate this post and I like this very much. I like your article about "Logo Design",..you have impressive share,. Nice and informative post ! Design your Company's Logo and get Brand, with India's Leading branding agency. am always searching online for articles that can help me. There is obviously a lot to know about this. I think you made some good points in Features also. Keep working, great job! It's really good article about printing,. Thanks for sharing this graphical design. how much to charge for logo design? Thanks! I'm sure we commenters seem insatiable with our questions, but I really appreciate you posting this stuff. That is a really well written article. I'll make sure to bookmark it and return to learn extra of your useful info. Interesting article and very outstanding information about the art journaling it's good work. it is you are right! I read your article this post is written in a very good and entails a lot of useful information.Thanks for taking the time and share useful information with us. Love this site, thanks highly appreciated. This blog is worth and usefull for me.. I am very grateful to read your blog.I hope you would provide the great services in the field of Design. Thank you very much for the informative article about Digital and Online Marketing Brisbane. We won't tell you we are the best Digital Agency Brisbane or SEO Company Brisbane, But we assure to help businesses to generate more revenue through Online Marketing Brisbane. You have a very good site, well constructed and very interesting i have bookmarked you, hopefully you keep posting new stuff, many thanks Legitty- USA's prime;s leading Web Design Company In Los Angeles, providing best website designing services in Los Angeles, is having certified Web Designers, Website Application Developers & SEO Expert in India. Web Design Agency with over 12 years experience of creating & building outstanding websites besides being a full fledged web development company. I want to desgin a logo for my company. i was looking Logo Designing Company in Jaipur which make my logo in cheap prices. As you climb through the belt framework... You rehearse your kicking strategy and get more grounded and more adjusted. Your body begins to recall what to do and taekwondo is more programmed. Your co-appointment progresses. You get more grounded and more adaptable. And out of the blue you begin to feel somewhat better. itfofindia.com. Thanks for sharing a very interesting article about Intelligent Copying. This is very useful information for online blog review readers. Keep it up such a nice posting like this. Thanks for this Nice post, Really Appreciate you !!!!!!!! !, Check the best Web Design Jaipur , Logo Design Company in Jaipur and web designing course in jaipur to boost your career and business. A very good article and its going to help out the developers definitely. Thank you so much for sharing informative content for free. The Design Club of IIT Madras is a great way to immerse yourself into the graphic design community. We intend to inspire you to become active and creative. You can meet other designers, present and share ideas, ask questions, talk about the latest design news, ask for critiques of your work and much more. Being active in a design community is also another great way to promote your own work and get your name out there. Above all it is also a learning platform for all the budding Graphic Designers.